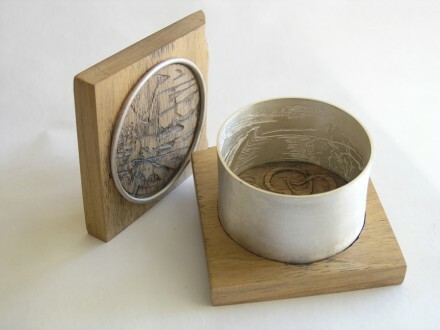 A mold of silver, welded, processed and converted into a box. Once the prints are completed, the molds are then transformed into small silver traced containers. Location: FAEC showroom, Barcelona city.